Endometriosis and Pregnancy: Yes, it is possible! Endometriosis is considered one of the three major causes of female infertility. Endometriosis and pregnancy are often thought to not co-exist. “Most women believe that they won’t be able to conceive naturally, but this isn’t necessarily true,” reassures Dr Priti Arora Dhamija, Infertility Specialist at Sitaram Bhartia Hospital in South Delhi. Esha K. Malia, 27, was diagnosed with endometriosis five years ago. It wasn’t until she got married and wanted to have children that she started thinking that her condition could cause a problem. Before proceeding any further, she wanted to discuss her chances with a trusted doctor. She came with her husband, Karthik, for their appointment with Dr Priti with many questions. After a thorough analysis of Esha’s previous medical records and taking a detailed history of the couple, Dr Priti was able to ascertain the condition better. Karthik, on the other hand, was feeling a little confused by the back and forth between the doctor and Esha. Hesitatingly, he asked the doctor how endometriosis may affect their chances of conceiving. 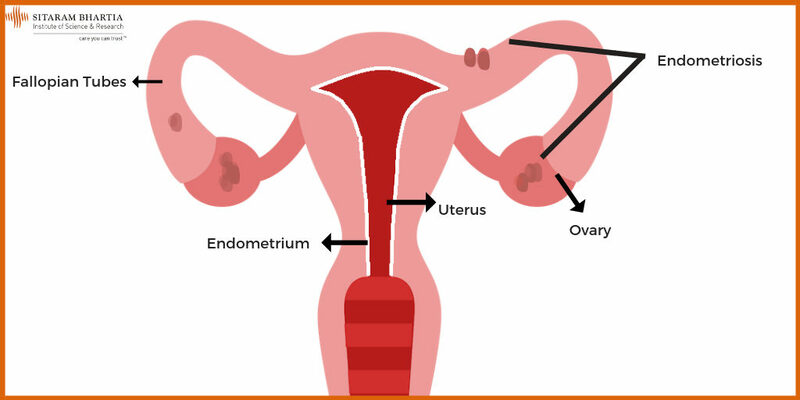 What is Endometriosis and how does it affect female fertility? 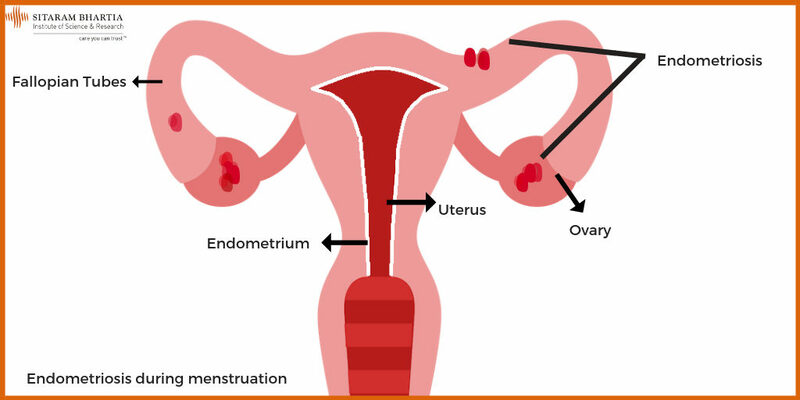 Endometriosis can be divided into 4 stages ranging from mild to severe cases, which depends on the location, amount, depth and size of the endometrial deposits. These stages don’t necessarily correlate with symptoms experienced by the women. Now that Karthik had a better understanding of the situation, Esha also felt more confident to ask her concerns. She then asked the doctor about the chances of getting pregnant with endometriosis. What are the chances of getting pregnant with endometriosis? Dr Priti assured the couple that the chances of getting pregnant with endometriosis are much better than their expectations. According to this, 1 in 10 women have endometriosis during their reproductive years. The endometriosis and pregnancy rates are decent as only 25 – 40% of these women may face difficulty when trying to conceive. Esha inquired how to go about it. Dr Priti asked the couple how long have they been trying to get pregnant to which the couple replied they have only started planning. They were advised to try for 6 months and then to come back for a follow-up consultation. The couple visibly relaxed upon hearing this and grabbed each other’s hands. The doctor assured Esha that her condition didn’t require surgery as of now. Endometriosis and Pregnancy: When is IVF needed? The couple discussed the various options at their disposal and were rather happy to know that pregnancy isn’t a far-fetched dream as it seemed before. Esha then enquired about any risks due to endometriosis and pregnancy. After pre-conceptional testing which comprised screening for blood type and screen, rubella and such parameters, the couple left the hospital feeling more optimistic about the journey ahead. Esha and Karthik started trying as per Dr Priti’s suggestion. After 6 months, the couple was unable to conceive but didn’t lose hope. Esha and Karthik then consulted Dr Priti about what should be their next step. Esha had mild endometriosis and was therefore suggested to go for ovulation induction (OI) and Intrauterine Insemination (IUI). The couple was able to conceive after their second IUI cycle and were filled with joy. “We’re so happy we were able to get help at every step of the way – from understanding our options, to going through the required treatment – the right guidance can really make ALL the difference,” she says. Esha is currently 4 months pregnant and looking forward to welcome her baby soon. This blog post was created with editorial inputs by Dr Priti Arora Dhamija. Dr Priti has over 14 years of experience as an obstetrician–gynecologist with a keen interest and wide experience in infertility treatments. She is known for her calm approach and listening ear which has added to her goodwill among patients and colleagues alike!